After she’s betrayed by her husband, Hilary DeVaughn is done. She can’t and won’t stay in a town where so many bad memories haunt her. Years later, she gets a phone call to come back home for Eden, so she drops everything to return to the place where her heart was shattered. Deciding it’s time to completely let go, she hands Mason divorce papers. 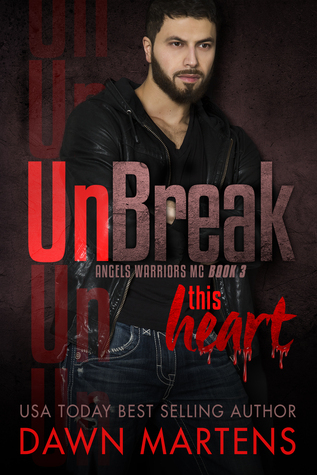 Mason “Reaper” Harris has always loved Hilary, but that love quickly fell apart when she slept with another man – or so he thinks. Then Hilary returns, along with her demands for a divorce again. He realizes that, even though he’s still furious with her for ruining their relationship, he refuses to let her go. 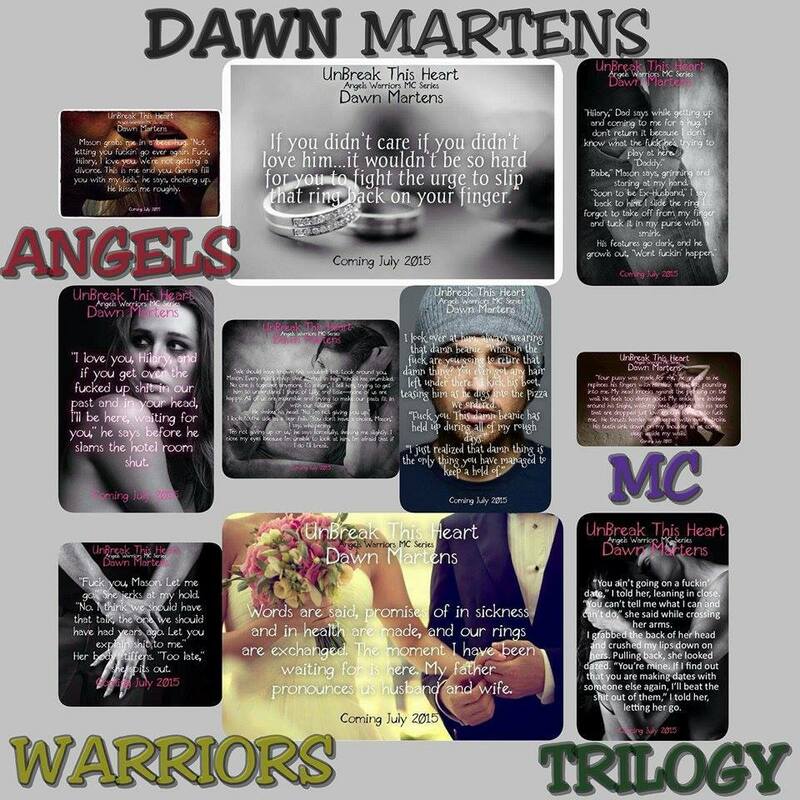 In this conclusion to the Angels Warriors MC Trilogy – will Angel, Zippo, and Reaper get their women back and finally have their happily ever afters? Or will these couples be forever broken? They all had secrets, some more destructive than others, but will their love be enough to make things right? Or will those secrets tear their hearts – and lives – to shreds? a young, spunky Canadian Author. her dreams of becoming a writer! personal idol and helped inspire Dawn in the beginning of her Indie career.